Visit Paris from all the most breath-taking perspectives! Why waste time? Why run the risk of missing out on the best things to see? Paris shouldn't just be visited! Paris needs to be experienced so that you can feel the life-blood of the city! Thanks to this comprehensive tour, you will be able to visit the most beautiful sights, admire the spectacular views of the French capital from the 2nd floor of the Eiffel Tower and sit back and relax on an enjoyable boat trip along the Seine. When the tour ends, everyone will be able to tell their friends and family that they have really seen the true Paris. Don't miss out on this opportunity! Check the date you want for your tour with an audio-guide in English now and let yourself be guided in your discovery of the French capital. This is a tour that has been designed for those who don't want to miss out on anything! 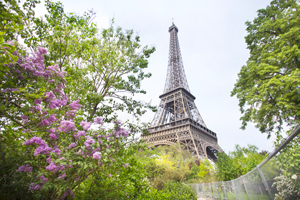 In fact, thanks to this guided tour, you will have the opportunity to: admire the river banks of the Seine whilst on a relaxing river cruise which lasts about an hour; be amazed by the beauties of the French capital from on high from the second floor of the Eiffel Tower and get to see the most spectacular attractions in comfort on a bus, (the tour lasts about 2 hours). In other words, get ready to admire Paris from all her most charming perspectives. This tour is highly recommended for anyone who is visiting Paris for the first time and wants to discover all the city's secrets. Thanks to the commentary on the audio-guide, you will be able to learn about the history of monuments such as: Notre Dame, l'Opéra Garnier, the Louvre Museum, the Musée d'Orsay, the Eiffel Tower and the Arc de Triomphe. Children aren't always very keen on a lot of walking and they often get bored quite easily on family outings. Because of this, parents are always on the look-out for activities that will keep them entertained. The Tour of Paris + the Eiffel Tower + a Cruise along the Seine is the perfect solution for keeping them interested. Actually, most of the children love listening to the funny stories of the two dogs, Lulu and Maurice, who will accompany them on their journey of discover of the city. Audio Guide is available in English.